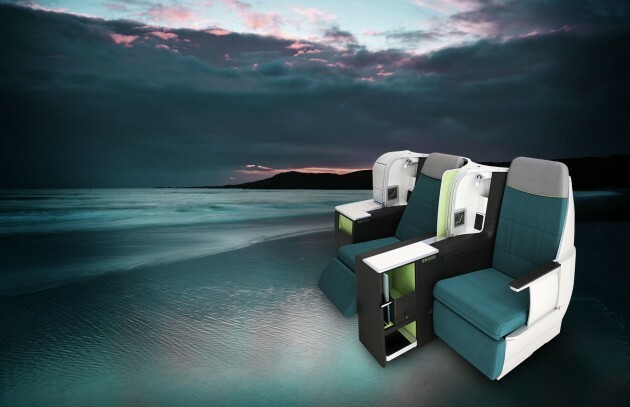 Irish carrier Aer Lingus has revealed details of its New Business Class cabin, which will offer seats that convert to fully horizontally flat beds for the first time in the airline’s history. The airline’s existing business class features a seat which extends into a flat but inclined bed, which is still well-regarded on shorter East Coast USA routes to and from Dublin. However for longer, and especially overnight sectors, the advent of a fully-flat product will undoubtedly be welcomed by existing and prospective new customers. Inflight WiFi is already available on Aer Lingus Airbus A330-operated longhaul services, and passengers travelling to the USA from Dublin International Airport can avail themselves of US Immigration Pre-clearance, which effectively means that arrival into the USA is as a domestic passenger.